One of the most important decisions companies have to make is determining pricing, as it could mean gaining more customers while raking in profits too. Sellers can price their services or products however they want but not everyone can set the right price. According to McKinsey & Company, “On average, a 1 percent price increase translates into an 8.7 percent increase in operating profits.” Yet, almost 30 percent of companies fail to determine their best pricing every year. Very few businesses take a scientific approach to setting prices and focus more on trial and error but by doing this they could be losing thousands of dollars that could have been profit if their efforts fail. So, how can companies avoid missing out on profits by figuring out the best price for their services? Well by implementing big data of course. What products are customers most likely to buy? What is the best price for my product? What are customers’ opinions about my current pricing? Once you start receiving big data results then you can start implementing some helpful pricing strategies to boost sales. Big data can help provide you with the information you need to identify current trends among a variety of buyers and any trends your competitors may be following. You can then use these trends to determine the best pricing for each group. 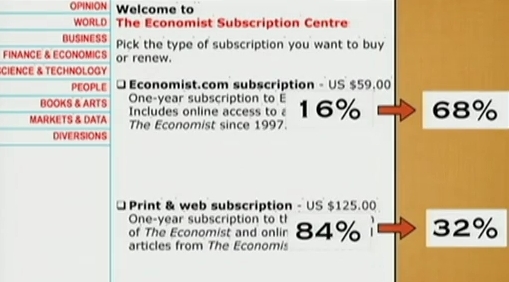 When 100 MIT students were asked to choose the option that they would prefer, 16 students chose A while 84 students chose option C. None chose option B, which was solely print subscription at US $125. Dan Ariely then removed the second option and again asked 100 MIT students which option they would prefer. This time round, there were more students opting for the first option. 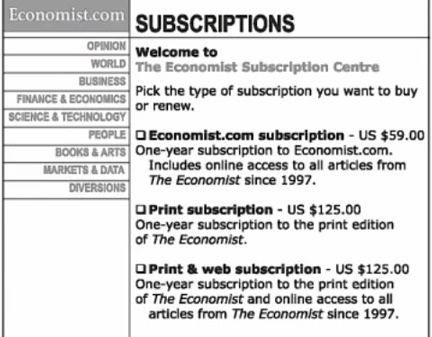 Indicating that , though the middle option for only print subscription wasn’t chosen by anyone, it still played a vital role in customer preferences. There may be a market for different versions of your products or services and big data can help you find out if those markets exist. For example, if a customer really wants your product or service but simply can’t afford it you may want to consider creating a simpler version at a lower price. 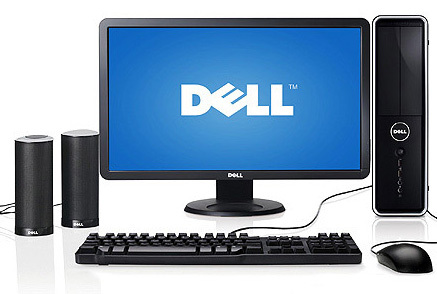 For example, Dell computers produce different versions of their PCs, with ranges starting from $269 to $20000. Customers are free to choose the one that suits their budget. In a world where using cash is becoming less common accepting various methods of payment like Paypal, American Express, etc. as a way to increase sales would make your company more technologically up-to-date. While big data can help you determine the best pricing for your company through research methods, companies should be wary of the fact that there have been some issues in the past where customers felt ripped off when companies experimented with different pricing towards different groups. The important aspect here is to listen to customers and to make necessary changes before it is too late, neither would you want to lose custom to competitors nor would you want a lot of customers but dwindling profits. This is where a company’s listening post moves to the forefront of business communications. Remember, not all customers will call in during work hours, so relying on after hours call support would benefit tremendously in the long run. One of the toughest things for a business to get correct is pricing but by using big data you will be that much closer to getting it right. It is about using available resources intelligently to zero in on optimum pricing. Guest author Nick Robson is an SEO expert and presently works as a consultant for many small businesses. He loves writing and combines this passion of his with his knowledge of SEO to create compelling content.